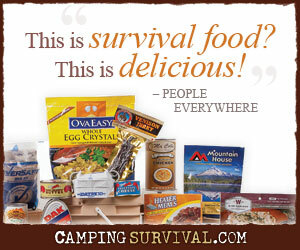 Whether it’s a campfire to roast marshmallows during an overnight hiking trip with your kids or a lifesaving fire that provides warmth during an unplanned survival scenario, the ability to make fire out of whatever supplies you happen to have available cannot be overstated as a requisite skill for the prepper. There are many techniques for starting a fire. Some are quite easy given the right tools. Others take practice, patience, and perseverance. In this post, we’ll discuss the basics of fire making by examining the fundamental components required for a fire. In later posts, I’ll demonstrate some specific ways to get a fire started using some traditional and even some unconventional methods. Every fire requires three fundamental components: fuel, oxygen, and a heat source. Without the appropriate combination of each ingredient, fire is impossible. All fires must have something to consume. Whether it’s a solid such as wood, a liquid such as kerosene, or a gas as in propane, fire must have a fuel to subsist. We will focus on wood fires since that’s the most common and most readily available fuel in survival situations. When building a fire, it’s important to start with the right fuel and in the right order. T is for Tinder. That’s the fine flammable material that easily catches a spark. It ignites easily when exposed to an ember. Small cotton fibers or the inner bark from a cedar tree work well. K is for Kindling. Once the tinder has begun to burn, you want to coax the flame onto larger and longer burning fuel. This is done by adding kindling atop the tinder. Kindling should be no larger than your pinky finger. F is for Fuel. A small fire composed of tinder and kindling is ready for the sustaining fuel. Larger and larger pieces of wood may be added as more coals are created. This will keep the fire going longer. The key is to not get in a hurry with the larger pieces. Take your time and allow the fire to grow. When a piece of wood burns, it’s actually a chemical chain reaction. Under normal circumstances, fires cannot exist without oxygen. That’s why it’s important to build a fire structure that will support the flow of oxygen to the flame. Several structures are commonly used for different purposes. The Teepee. The teepee is a great fire structure; it’s easy to light and produces a classic campfire image. It’s good for cooking in the coals beside the fire or by hanging a pot over it. To build a teepee, place your tinder bundle on the ground and lean several pieces of kindling against it so that they meet above the tinder bundle. Keep adding kindling and to the teepee, leaving an opening on one side so that you can light the tinder. Finish the teepee with some larger pieces of fuel. The Log Cabin. The log cabin is good for larger campfires or bonfires, but doesn’t do as well for cooking as it roars too high and produces too much heat. To build a log cabin structure, place your tinder bundle on the ground. On either side, place a piece of kindling parallel to one another. Then place two pieces on top of those, at right angles to form a square. Continue doing this until the structure is slightly taller than the tinder bundle. Then place several pieces of kindling across the top of the tinder bundle, alternating as before. The Lean-To. The best circumstances for lean-to structure is when wind is blowing too hard from one direction to get the fire going. Start a lean-to by placing the tinder bundle on the down wind side of large log. Lean kindling across the tinder bundle. One end of the kindling should be on the ground, the other leaned against the top of the log. Continue doing this, eventually add some small pieces of fuel as the last layer. Oxygen and fuel are not enough to create a fire. You must have a source of heat or a spark to ignite the fuel. There are many ways this can be accomplished. Matches or Lighters. Of course having a ready-made fire making device, such as matches or lighters are ideal. But those are non-renewable sources of fire. Once you’ve used all of the matches or consumed all of the lighter fuel, they are gone. If you have them, use them sparingly. Fire Piston. According to the Ideal Gas Law, as pressure increases on a gas, so does its temperature. That concept has been used for centuries in fire pistons. The nice thing about the device is that, with proper maintenance, it’s a renewal source of fire. Magnifying Glass. Kids have used magnifying glasses to scorch leaves and wood for years. It’s still a great way to start a fire, if you have sunlight. On cloudy winter afternoons, it’s nice to have other methods. 9-Volt Battery and Steel Wool. Impromptu methods of starting a fire, such as using a 9-volt battery and a piece of steel wool, are good skills to possess. Traditional Stick Method. The tried and traditional methods of starting fires by rubbing two sticks together takes know-how and perseverance, but is almost always available to you. Fires have many practical uses. 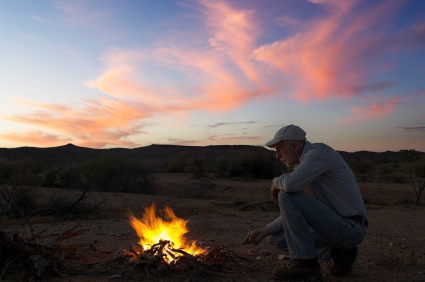 From cooking food and purifying water to providing warmth and keeping the boogieman away, fires have are a mainstay for the outdoor enthusiast. Becoming familiar with multiple techniques can make you a hero to your kids during a fun weekend camping trip. It can also make you a real hero during a survival scenario. Great article! My family started using wood heat this past winter, and we had no idea how to start a fire or even keep it going. It took a lot of trial and error, but we finally figured it out after burning umpteen cardboard boxes, tall stacks of junk mail, and spending many hours sitting in front of the fireplace. We have learned that kindling is a step that you cannot skip. :o) Starting a fire is a great skill to have mastered before you *have* to use it. Thank you for putting your valuable time into this blog. I’ll be checking back regularly. Many blessings to you and yours. Thanks, Melissa! You’re right; one would think that starting a fire would be as easy as falling off a bicycle, but it’s not. It’s takes practice. Learning to put the right combination of heat, air, and fuel together is more of an art than a science. You seems to be an expert in this field, good articles and keep up the good work, my buddy recommended me it. Thanks for you comments, Aimee! We don’t claim to be experts in anything; we just want to share our experiences with others. You’ll notice that I stripped off the link to your web site in your comment. Links to related subject matter is fine but a pure advertisement is better served by a setting up an sponsorship agreement. Good question. I’m sure that it varies by locale, but I’ve had good luck with finding camping facilities that allow open fires if the conditions are not overly dry. Some may require that you have a raised fire in a burn barrel or some other platform so that you do not damage the earth in any way. One question, you failed to mention the use of flint and steel or ferro rods, they are long enough lasting they fall into the catagory of semi perminet, as long as you don’t loose them…. Good point, Jeff. Thanks. It would have been good to include those along with Magnesium firestarters as well. Another good source of tinder that you can prepare ahead of time is cotton balls and vaseline. Simply place several cotton balls into a zip lock and add a dollop of vaseline and mix them thoroughly. Store them in an old pill bottle and take out a few strands as needed to start your fire. They light very easily with and source of spark or flame. It will burn long enough and hot enough to dry out other moist tinders in order to get damp fuel started. Absolutely, Steve. Thanks for mentioning the cotton balls impregnated with petroleum jelly. They make a wonderful firestarter. so you only need a few strands from the cotton ball? Not the whole coated ball? Correct, Amy, but you are collecting other tinder and putting it around your strands of Vaseline impregnated cotton wool. The strands of cotton catch fire easily and spread to your other tinder.